Given the attractiveness of downtown Rosslyn, parking spaces can be scarce. 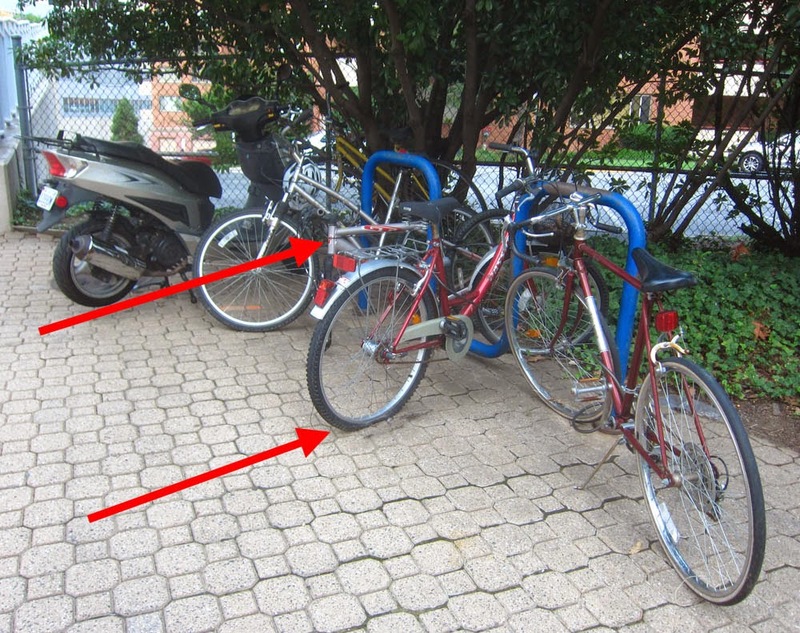 At the popular bike parking site just outside of Riverplace Condominiums, two apparently abandoned bikes are taking up prime parking spaces. These bikes would make a good donations to Phoenix Bikes. 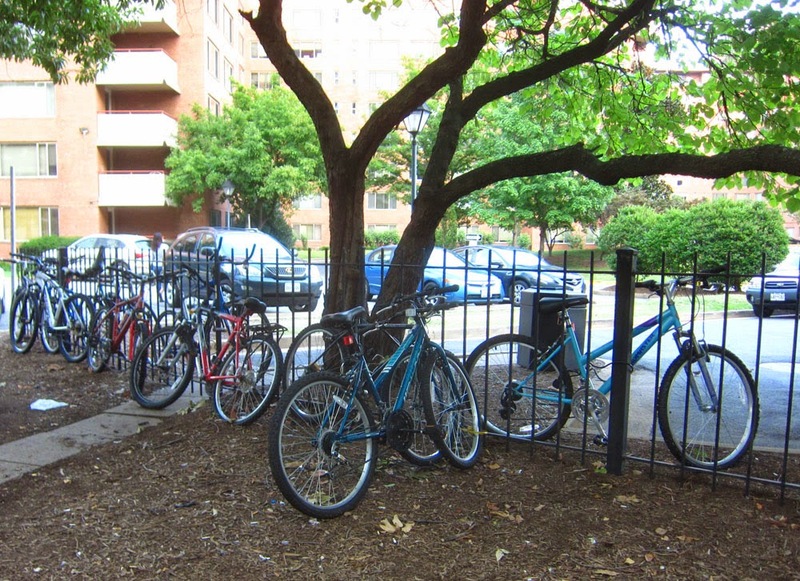 Even with the removal of non-functioning bikes, more bike parking is needed outside of Riverplace.